Happy family on summer vacation concept. 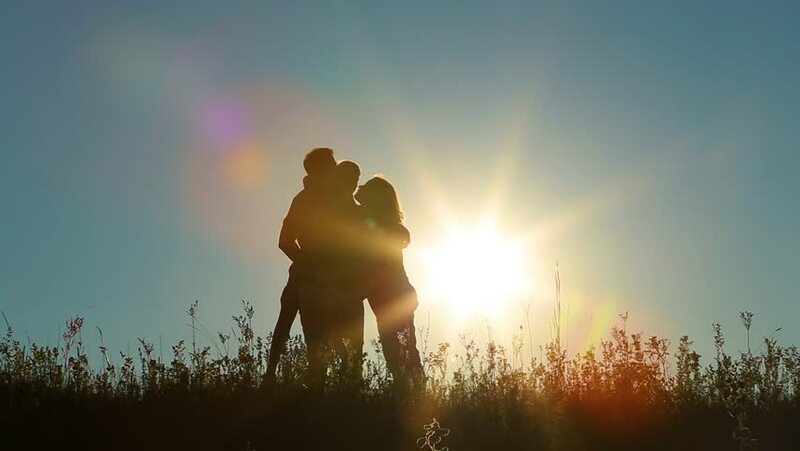 Father, mother and son hugging and kissing happily outside at sunny blue sky background. hd00:25Silhouettes of two hikers with backpacks enjoying sunset view from top of a mountain. Enjoying the sunset view from mountain top above the clouds. Happy couple winner mountain top concept. hd00:39Silhouette of man exercising thai boxing. Silhouette of martial arts man training boxing on the beach over beautiful sunset background. Training karate or boxing on grass field at sunset. hd00:30Mother raises child silhouette at sunset. Sun glare. hd00:33Father and son playing superhero at the sunset time. People having fun outdoors. Concept of friendly family. hd00:28Adult man on summer vacations in countryside. Male silhouette of tired guy hiking. Person walks along grassy hill at sunset sunlight and blue sky background, resting, wiping sweat. hd00:32Young healthy family on summer vacations in countryside. Silhouettes of father, mother and 10 years old son hiking. People walking along grassy hill at bright sunset sunlight and blue sky background. hd00:19Closeup of adult white bearded man using modern smartphone with touchscreen for surfing internet and social media resources. Selective focus. Monitor of gadget is blurry. Real time video footage. hd00:29Dark silhouettes of hikers family walk on grassy sunset hill. People isolated at blue sky background. hd00:10Closeup of injured young kid's knee after he fell down on pavement. Boy poses for camera showing wounded scraped leg. Real time full hd video footage.